Soft flatbread frequently eaten with hummus and other Mediterranean dips. "Lebanese Bread," as cultures around the world know it, is made from wheat flour. 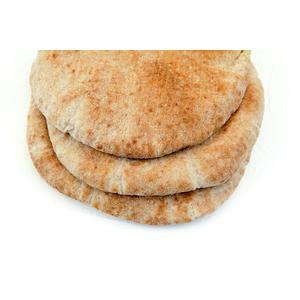 A flatbread that is slightly leavened, pita is the ideal bread for all sorts of culinary uses. Try dipping it into hummus or baba ghanoush, saucing it for a pizza crust, or crisping it for pita chips.